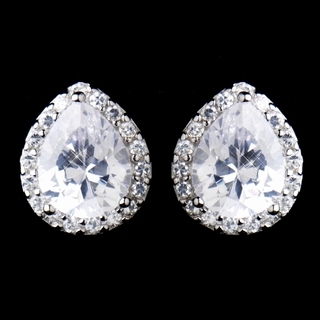 This classic post back earring is irresistible, with its luminous 925 Sterling Silver plating and radiating sparkle! This stud-style earring features a large, teardrop-shaped cubic zirconia with an additional halo of crystals surrounding the main stone. These earrings are perfect for a variety of special occasions, including weddings, proms, graduations, birthdays, and anniversaries!